Info: Created on 23rd February 2013 . Last edited on 23rd February 2013. Oh, I remember mine! I was called 8bit love and was a pixel font. @winty5:And Roboto Sans? 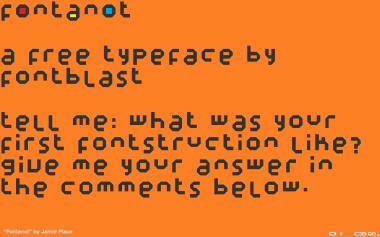 @FB:My first font is called Hlaholitic and it was pixel font with chaotic height. This was my first one, and I like it! I saw 8bit love 8bit love. I think mine was Digital Spatter.